Retail is not going away, the industry is transforming. 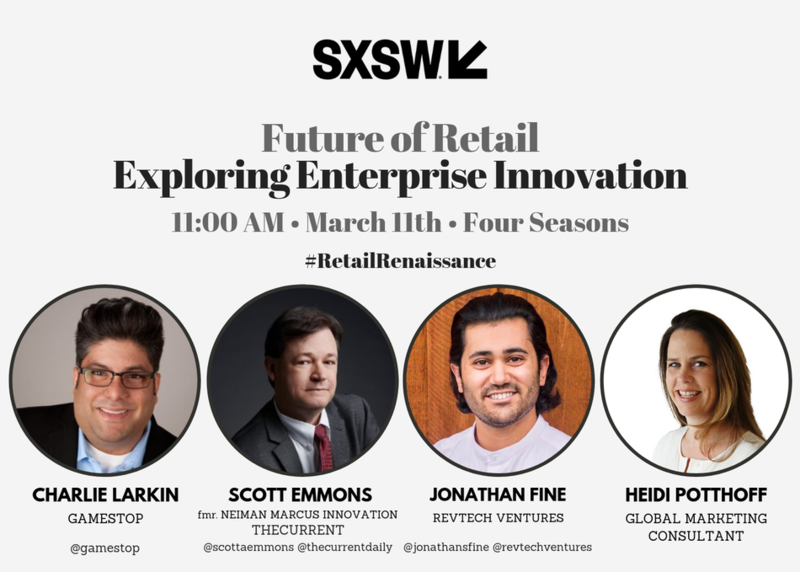 Hear innovation leaders from GameStop, Neiman Marcus, and Brierley+Partners discuss the current state of enterprise technology innovation in retail. Learn from what they've observed from within their organizations and beyond. How can retailers leverage emerging technologies to thrive in a changing retail landscape? With growing number of buzzwords flying around the industry; which are actionable and which are lofty? This panel is moderated by a retail innovation focused fund.